Your roof is arguably the most important part of your home. It keeps your house dry, protects your household from the elements, and — depending on your choice of roofing – it can give your house a boost in curb appeal. Cambridge is designed to give your home a classic look. With a wide selection of color, it fits perfectly with any color scheme. Its deep shadow bands evoke the look of natural wood shakes. 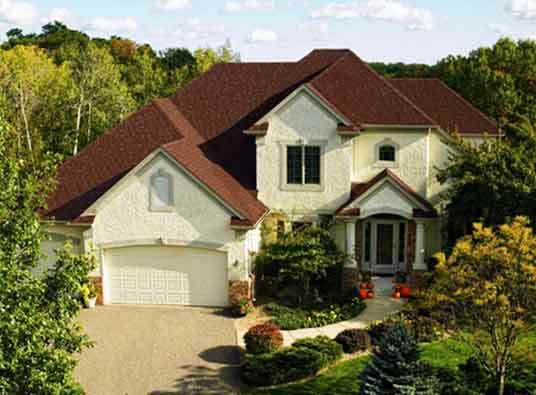 IKO’s Cambridge shingles are engineered to withstand the elements. Its Advantage size is bigger and heavier than most competitors’ products of the same quality, making it the easiest to install yet more durable than most shingles in its class. All IKO Cambridge products come with up to 110 mph Limited Wind Warranty (or with the optional upgrade of 130 mph), which means you don’t have to worry when the strong winds start. “AR” stands for “Algae Resistant”. This product line has built-in algae resistant granules, and is especially treated with a preservative to prevent discoloration by algae. It’s perfect for homes periodically exposed to damp cool weather conditions or for general roofing in Detroit. For more extreme weather, there’s Cambridge Impact Resistant. It is designed for homes exposed to extreme cold, hail, high winds, and severe storms. Made with IKO’s resilient, heavyweight fiberglass mat plus other enhancements, it is so tough that it has passed both UL 2218 and FM 4473 tests with a Class 4 Impact Resistance rating. And depending on where you live, a roof of class 4 Impact Resistance may entitle you to a discount on your premiums – just ask your insurance provider about it! At Kroll Construction, we use only the highest quality roofing materials. With almost 55 years of experience, you have the assurance that our services make us one of the top roofing contractors in Detroit. Call us at (844) 714-7268 or complete our request form for a free roof inspection. We look forward to hearing from you.